More than half of the people sometimes suffer from hearing complaints after a festival or concert, data from an Alpine Hearing Protection study show*. A ring in your ears: that can’t be the intention of your festival experience. 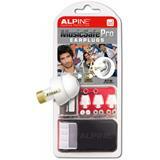 That’s why we will in this blog post dispel a number of great inaccuracies regarding loud music. 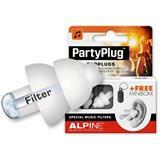 This will leave you with no excuses for not wearing earplugs this festival season! Your hearing can already get damaged starting at 80 dB. 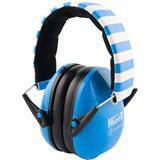 You can safely reside at a noise level of 80 dB for eight hours a day. This time reduces by half every three additional decibels. The music at a concert or festivals produced an average of 103 dB of sound. 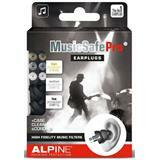 If you do not protect your hearing at a music event, you may suffer permanent hearing damage within minutes. Hearing damage manifests itself in various forms such as hypersensitivity to sound, hearing distorted sounds, or suffering from a permanent beep or noise in your ears. We call this last disorder tinnitus. The number of tinnitus patients around the globe increases every year. This has a great financial impact on society. Tinnitus affects labour productivity, for example, due to a loss of concentration, fatigue or insomnia. 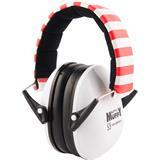 Many people believe that protecting their hearing during a night out is the responsibility of the festival or concert organiser. 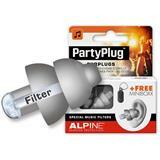 Alpine Hearing Protection asked a night life expert for his opinion. “There are of course certain agreements which are meant to reduce the risk of hearing damage, but it is naive to as a visitor blindly trust certain guidelines which have been established. Take your own responsibility and protect yourself”, in the words of Amsterdam night mayor Shamiro van der Geld. 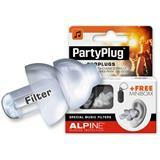 Festivalgoers (92 percent) almost unanimously agree on the best solution for preventing hearing damage: wearing earplugs! In practice, this still happens too rarely, because at least 60 percent never wears earplugs. The Alpine study revealed three surprising misconceptions about hearing protection, which could explain these contradictory findings. For example, people think that ear plugs aren’t comfortable enough (35 percent), respondents indicated they were afraid that they couldn’t have conversations while wearing earplugs (20 percent) and that they would no longer be able to enjoy the music (19 percent). It just so happens that the modern filter earplug does away with all these inconveniences! Old-fashioned foam earplugs indeed don’t let you enjoy a concert or festival much, but music filter earplugs are a very different story. These give you good protection, maintain the sound quality and allow you to easily hear conversations. 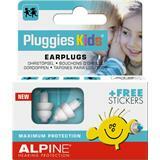 Thanks to the thermoplastic material developed by Alpine, the comfort is optimal and the earplugs can be worn all day. 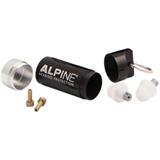 Finally, the excuse that ‘it’s very hard to find good earplugs’ is invalid, because you can among other places find the Alpine filter earplugs in our webshop. So make sure you have them, so you can enjoy a carefree festival season! 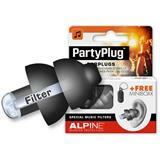 Order your hearing protection for this festival season here! *The research was performed among a representative sample of N=1.014 Dutch people between the age of 18 to 50 years in March 2018. 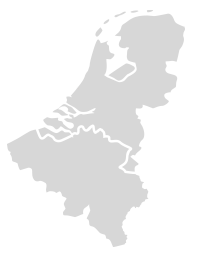 The results are reweighted by gender and age (Centraal Bureau voor de Statistiek 2017).